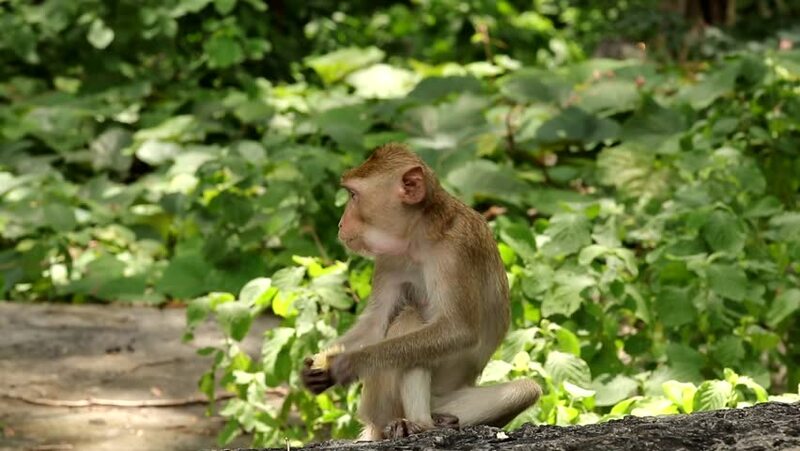 4k00:35Monkey eating vegetation in the forest, in a very natural background with sunlight coming through the leaves. Filmed in 4k in Thailand. hd00:15Cute monkey sitting and chewing on something as he plays with sticks. hd00:21A highly Endangered Proboscis Monkey (Nasalis larvatus) eating moss and lichen from tree bark in the wild jungles of Borneo. This is an adult female.